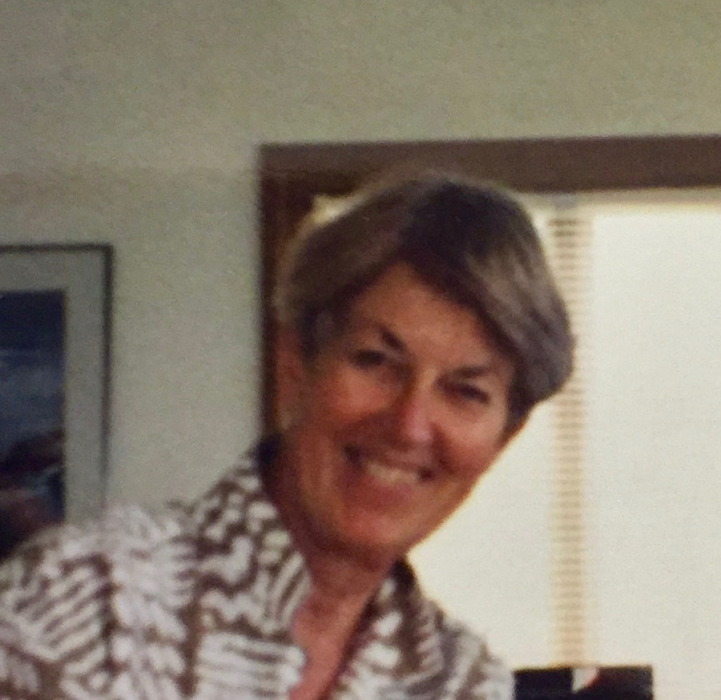 Mary Catharine Naden Levine passed away on July 16, 2018, with family at her side, in Portland, Maine. Born September 9, 1930, to Lloyd Ellis Naden and Cora May Butterfield, she grew up in Westborough, Massachusetts, where her father played the organ in the Congregational Church and her mother was known for her beautiful gardens. After Westborough High School (including a brief period of cheerleading), she graduated from the Worcester Art Museum school in 1951. In the summer of 1952, she was introduced to the world of children’s summer camps though a stint as arts & crafts counselor at Camp Trebor in Fryeburg, Maine. There, Mary met her soon-to-be husband, the camp director, Frank Levine of Boston. After a sailing honeymoon, Mary and Frank lived on Beacon Street in Boston for a brief urban period, before “taking to the woods” of Fryeburg, Maine, where they wore snowshoes and Mary learned to hook rugs and to bake challah. She continued her artwork, including linoleum prints. The family worked together to run the children’s camp during the summer months. In the early 1970s, Mary and family settled in Cape Elizabeth, Maine, the region Mary called home for the rest of her life. Mary taught art at Waynflete School for many years, and was a dedicated docent at the Portland Museum of Art. Her aesthetic sense infused everything she did: from sketches to the placement of an artichoke in the center of an earthenware plate to a thank-you note. She would arrange ordinary objects in extraordinary ways, such as hanging a rusty potato shovel on the dining room wall. Most of all, Mary will be remembered for her unfailing kindness and an optimistic outlook. She made many friends throughout her life, including during her later years as a resident of Osher Inn at the Cedars. Those who knew her will miss her terribly. Mary is survived by her sister, Pat Buckley, of Portland, Maine; her son, Evan Levine, of Nashville, Tennessee; her daughter, Lisa Levine (Cliff Joslyn), of Seattle, Washington; her niece, Heather Barry (Chris Guido), of Portland, Maine; her niece, Brigid Daye (Chris), of Westbrook, Maine; and her nephew, Tim Stentiford (Tom Marshall), of Kennebunk, Maine. Her family wishes to thank the people—staff and residents—at the Osher Inn, which was her home for the last 6 years and who cared for her so well. In keeping with Mary’s wishes, no services will be held; her family will hold a celebration of her life later this year. If Mary were here, she would probably tell us to stop making such a fuss and go back outside.